Russian World Forums • View topic - Does anyone know a non scamming dating site? Does anyone know a non scamming dating site? Post subject: Does anyone know a non scamming dating site? Post subject: Re: Does anyone know a non scamming dating site? With regards to your question. 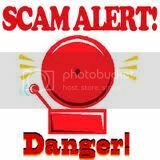 "Reputable and scammer free sites" , I am afraid that I do not think that anybody can really help by naming any such site but I will say that if you use your nouse it is easy to weed out the scammers. Mind you on any internet dating site regardless of where it is based or what nationality the people pretend to be you are likely to come across scammers. In the first few communication efforts ask some pertinent questions, if your questions are ignored then it is most likely that you are communicating with a scammer. To view a thread where I am communicating with a scammer click this . If the initial communications follow the same pattern then it is quite likely that you are communicating with either "Fat Yuri" or "Hairy Boris". I personally would not put too much of an emphasis on the "automated translation" issue but I would put a huge emphasis on questions not being answered. and to Russian World Forums. You have not said much about yourself apart from your desire to find a Russian woman and of course we all want to help you! I noticed that you have visited Russia several times so you obviously have seen a lot but if you have a good look around the forums you will find many interesting posts to improve your knowledge about the pursuit in finding an honest Russian woman for a long relationship leading to marriage. So if you have any other questions do not hesitate to ask . Meanwhile would much appreciate if you could upload an avatar image, for easy to recognise your posts. Hello Lee and welcome to the forum. If I had to pick one site to recommend to someone there is no doubt in my mind it would be Elena's Models. That is where I met my wife and I am pretty convinced more men quote having met their wife on that site than any other. I can't say it is totally scammer free but it is better than any other site I have seen that way. There are other decent sites. Merry Dating, Bride.ru, freepersonals.ru and lots more. In general if you avoid any site that requires you to pay by the letter you will be better off. Good luck in your search.